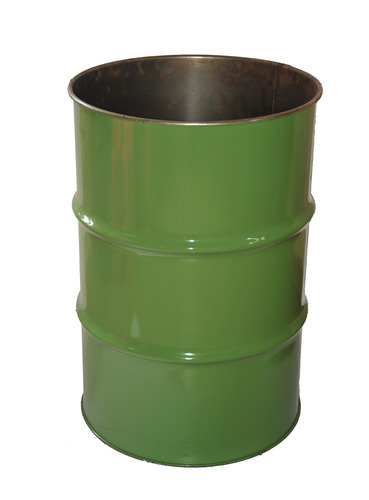 We also offer a wide range of Open Mouth Barrels, which are used for various industrial purpose. We offer our barrels to the valued customers at market leading prices. With support of our excellent team workers, we have been delivering the best quality range of Open Mouth Barrels 210 Litre. The offered barrels are manufactured by using high grade raw material that is sourced from reliable vendors of the market and sophisticated machines in compliance with set industry norms. Our offered barrels are easy to carry and gives long shelf life to packed items. Apart from this, clients can avail these barrels from us at pocket friendly prices. Our company has also achieved expertise in the sphere of manufacturing and exporting a wide range of Open Mouth Barrels 235 Litre that are fabricated using quality raw material to ensure sturdiness and resistance against water, oil and chemicals. Further, these open mouth barrels are fitted with lid and ring that guarantee optimum durability to these Barrels. We Industrial Engineering Corporation, Cochin, stock and offer a range of Epi Coated Open Mouth Barrel, which is widely considered for its tensile strength. Owing to the quality raw materials used, the accolade range of barrels we offer is highly durable. Provided with a sufficient volume, these barrels offer an easy storage for liquids. Moreover, the dimensional stability of the product offers an easy handling of these offered Epi coated Barrel. With the support of our experts and sophisticated in-house facilities, we have been able to offer an array of GI Open Mouth Barrels. The offered barrels are manufactured with the help of optimum quality raw material and modular machines in compliance with set industrial norms. We offer these barrels in different sizes and other related specifications in order to meet vast necessities of our clients. 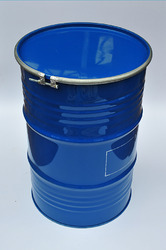 Clients can avail these barrels from us at market leading prices. Looking for “Open Mouth Barrels”?